AeroPress vs French Press: Which Press Impresses? If you are interested in alternative, at-home brewing methods, chances are you have stumbled upon numerous mentions of Aero- and French presses. At first glance, the two press-brewing methods can seem almost identical. They both involve steeping coffee grounds in hot water then filtering the coffee with a manual pump mechanism. However, each device offers a few nuances that are worth consideration. So, we have laid them out for you. Read on to figure out which tool best suits your java needs. Aerobie president, Alan Adler invented this manual coffee brewing device in 2005. It involves two concentric polypropylene cylinders and a plunger assembly that function similar to a syringe (because we all know coffee is our drug of choice). Air pressure is used to force coffee through a paper filter at one end of the tool and directly into a mug. The main thing that sets the AeroPress apart from other manual brewing tools is its speed. These things are fast and usually take less than a minute to brew your coffee. 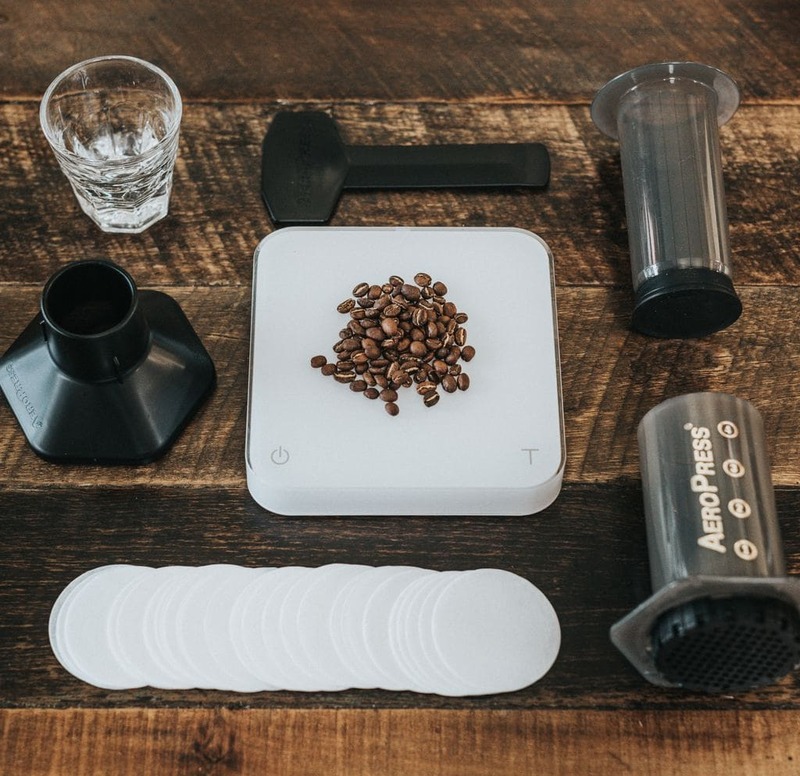 To use one, you will also need a burr or electric grinder, but the grind size is up to you. What is currently known as the French press is a design patented in 1929 by an Italian man named Attilo Calimani. Like the AeroPress, the mechanism is pretty simple with two main components: the carafe (a beaker-looking container usually made of glass) and the plunger assembly. With a French press, you will have a coarser grind size and a longer brew time because you must allow the grounds to steep in the hot water before compressing the plunger. Once you do, the plunger assembly will shove all the grinds to the bottom as the coffee moves upwards through the filter. 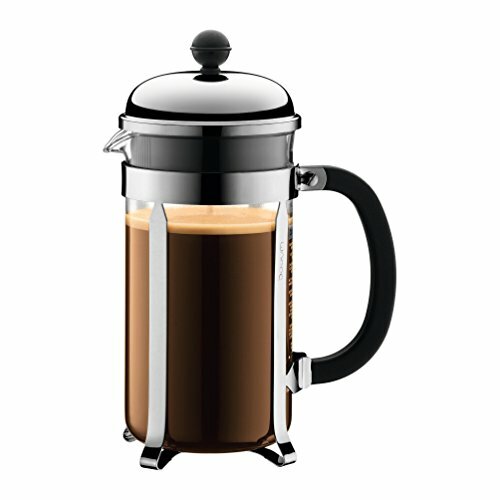 Go here for a comprehensive guide to the French press. 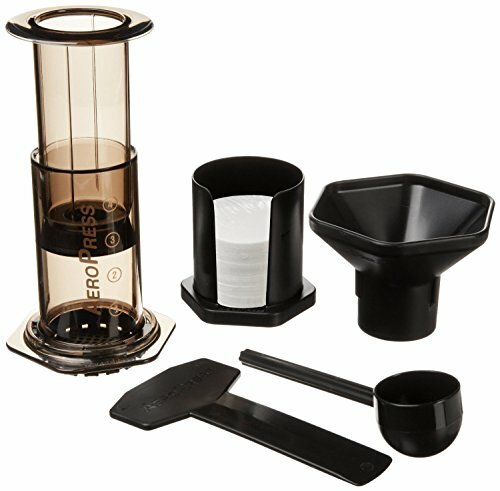 You can choose between two AeroPress brewing methods: the traditional method and the inverted method. For the traditional method, you have your cup on a flat surface at the bottom of the press. You rinse the paper filter; then add your favorite, freshly ground coffee and pour hot (NOT boiling) water into the larger cylinder. After a couple seconds, you put fix the smaller cylinder into the top and slowly press down to push the delicious java into your cup. The inverted method is a little bit trickier, but we typically prefer it because it gives you the extended steeping of a French press but with the condensed brew-time of an AeroPress. You start the inverted process by inserting the plunger into the larger cylinder and removing the filter from what is now the top of the device. Then, you put in the coffee grounds and water, stirring as usual before rinsing the filter and placing your cup upside-down on top. Finally, steep it for a few minutes and in one fluid motion you flip the entire set-up and press down. The main difference the inverted method makes is that the flavor is a little darker and richer, making it a bit more similar to what you get with a French press. Overall, you have a lot of options when it comes to hot java, but not so many when it comes to cold brews. Also, AeroPresses are much less forgiving, and it is pretty easy to make a hot mess bigger than your daily life if you use it improperly. Brewing with a French press can also be considerably versatile but in a different way from the AeroPress. With the French press you have the ability to “set-and-forget” because you can leave the device in your fridge or on your counter for an extended period of time while the coffee brews. This particular type of brewing versatility makes a French press great for experimenting with cold brews. The brewing method is actually quite similar to the AeroPress, as we pointed out earlier. However, there is less room for error due to the absence of pressure. With a French press you are pushing the grounds out of the coffee then pouring, rather than forcibly pushing the coffee out through the grounds. Regardless of which coffee-press tool you use, you are going to end up with a rich, satisfying cup of java. However, there are some slight nuances in the flavor you will get from each mechanism, and that is because of the filters. With an AeroPress, you are probably going to get a paper filter. And while you can get a metal filter from a third party, manufacturers don’t usually recommended doing so. The paper filters result in a smooth, low-acid, clean-tasting beverage. However, the paper does mean you will me missing some of the coffee oils that give French press coffee its signature body. On the other hand, French presses typically use stainless steel mesh filters which admits the oils and sometimes a little grit/sediment in your final brew. This creates a uniquely rich, full bodied brew that many coffee fans adore. However, some connoisseurs complain that the heavy mouthfeel and messy cup are less than desirable. Also, while oils can add body they can potentially muddy the precise flavors of certain beans. Another thing to consider when looking at these tools is where exactly you will be using them. For someone whose coffee maker stays at home and only experiences the regular wear-and-tear of kitchen usage, a French press is perfect. But, if you’re wanting to bring these things on your crazy camping adventures, you might need to reconsider. While the borosilicate glass carafe and stainless steel combo are of average durability and can survive minor bumps and scraps, toting them around in a backpack is not exactly ideal. On the other hand, an AeroPress can travel really well. The BPA-free plastic bodies will have no problem with the inside of your backpack or picnic basket. However, they are not designed to sit around, brewing on counter tops or in refrigerators for extended periods of time. AeroPresses are designed to hold 6 to 8 ounces, meaning they are basically single-serve coffee brewers. So, they are great for singles and college students who want one quick cup… not so much for entire households of coffee fanatics. 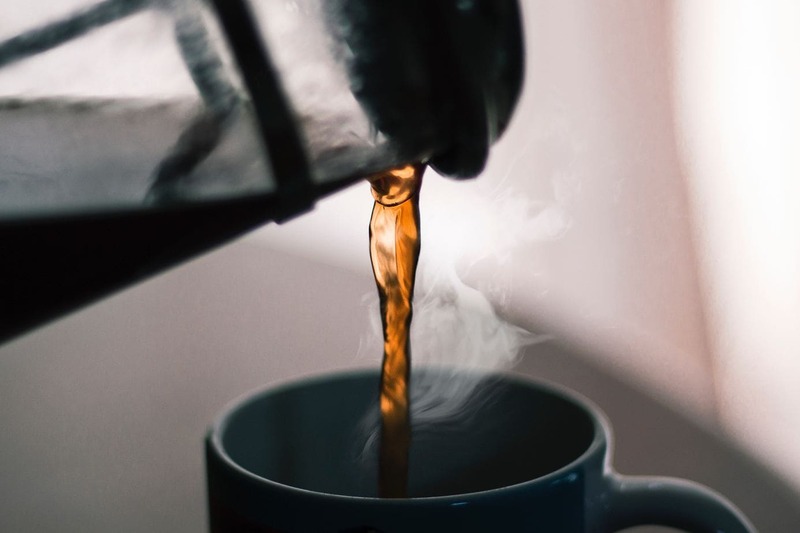 French presses, alternatively, tend to hold between 28 and 35 ounces, making them a much better option if you are trying to fuel more than one person’s day or just a multi-cup kind of person. Both of these presses are great tools for alternative brewing, so it really comes down to personal taste and lifestyle. But… ¿Porqué no los dos? At the end of the day, since each of these tools only costs around $30, you could probably get both and cover all your press-brewing bases. If you're an aspiring at-home barista, chances are you have a french press. But if you aren't getting the delicious coffee you expected, there might be a few reasons why. Read this guide on the best coffee for French press to get a couple suggestions and tips to try out. Anyone who's up-to-date on the latest coffee trends has undoubtedly heard of the siphon coffee maker. But whether you're already there or need to catch up, Roasty is here to give you the low-down on the best siphon coffee makers, what they are, how to choose one, and how to use one.